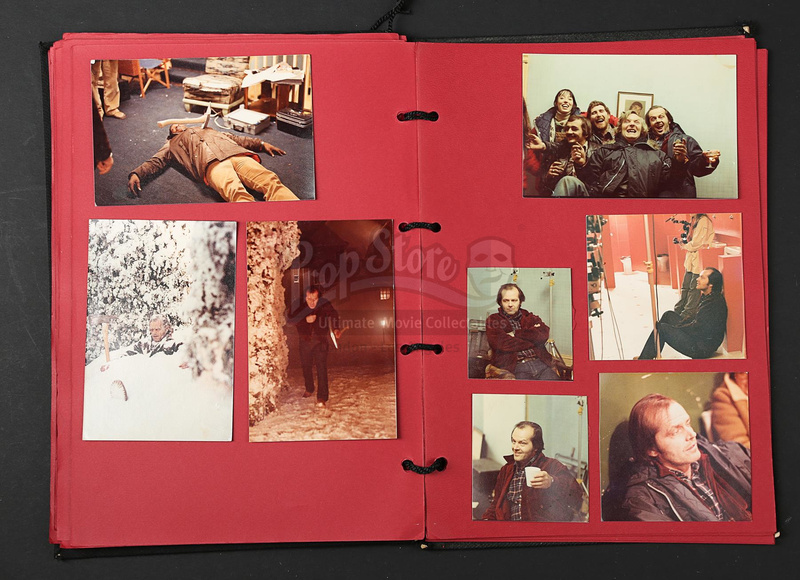 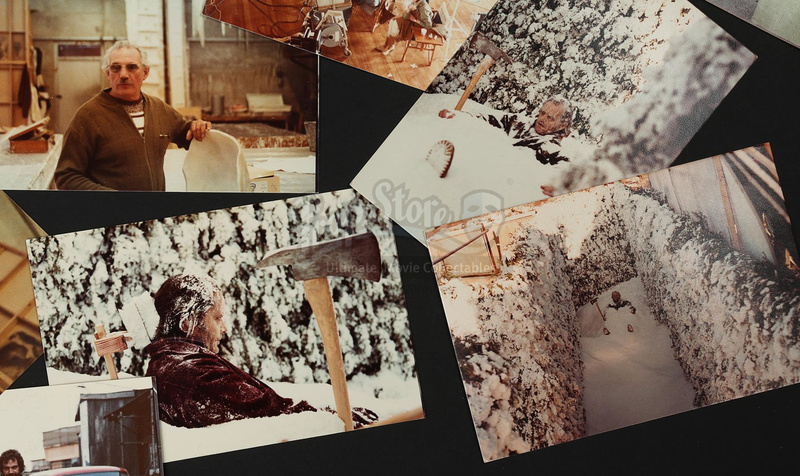 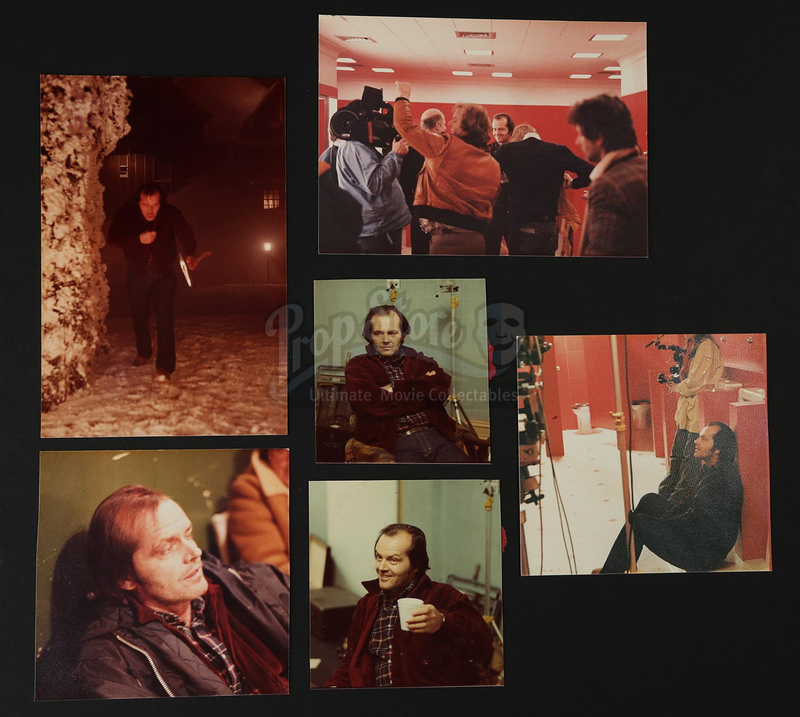 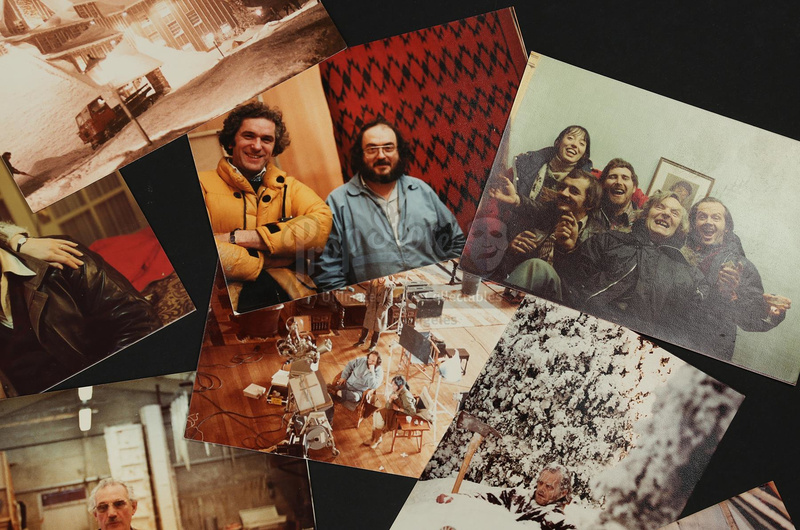 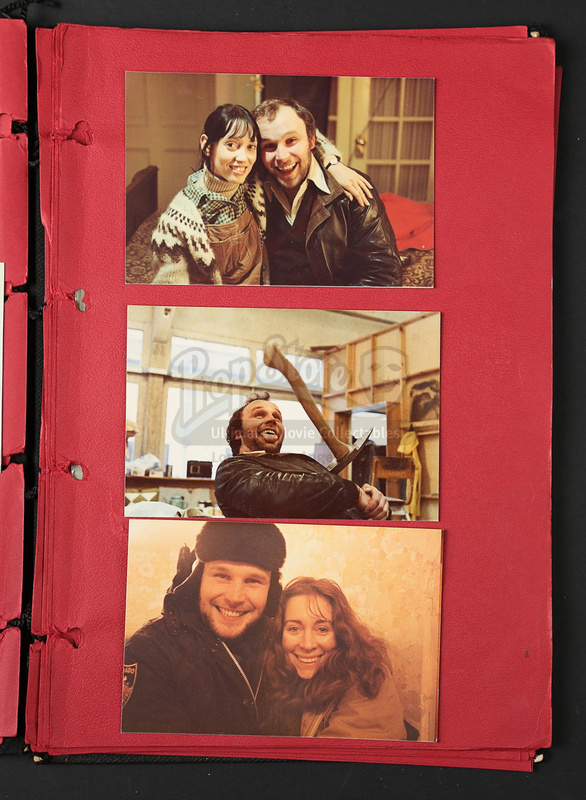 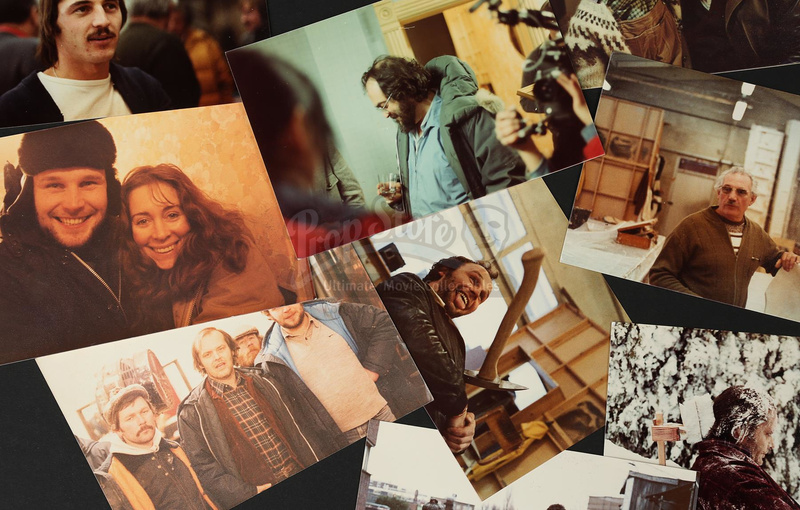 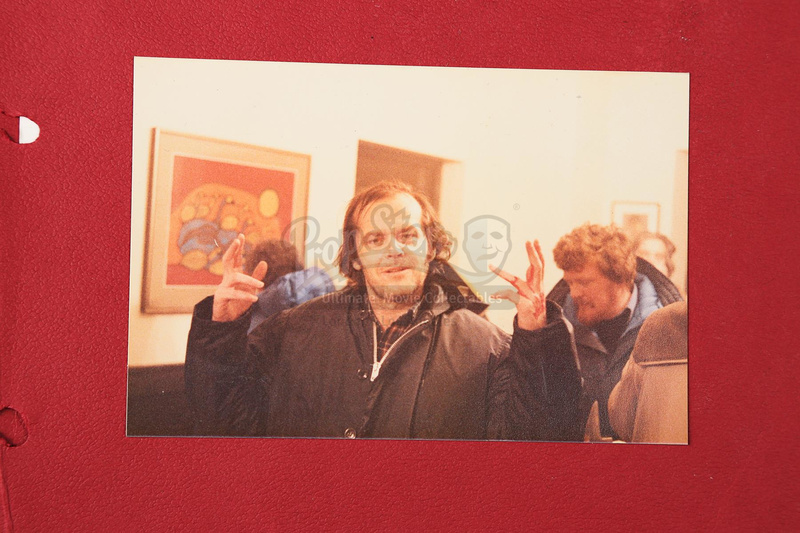 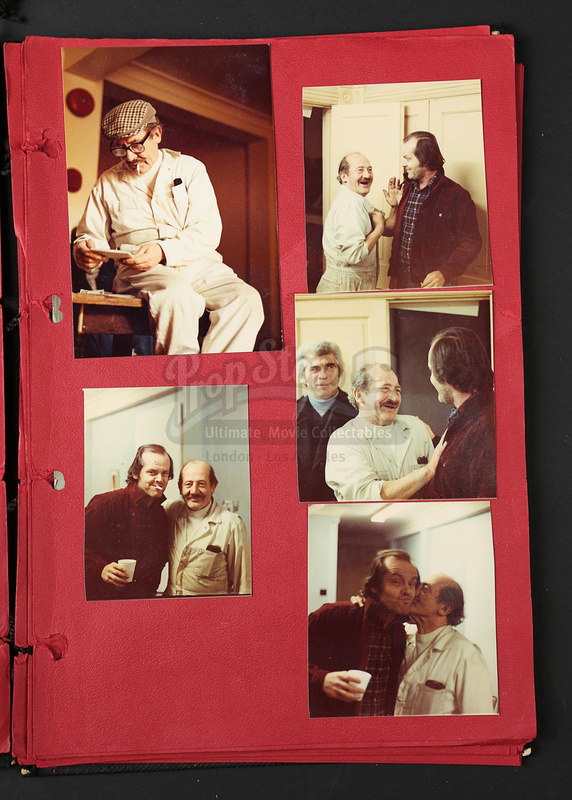 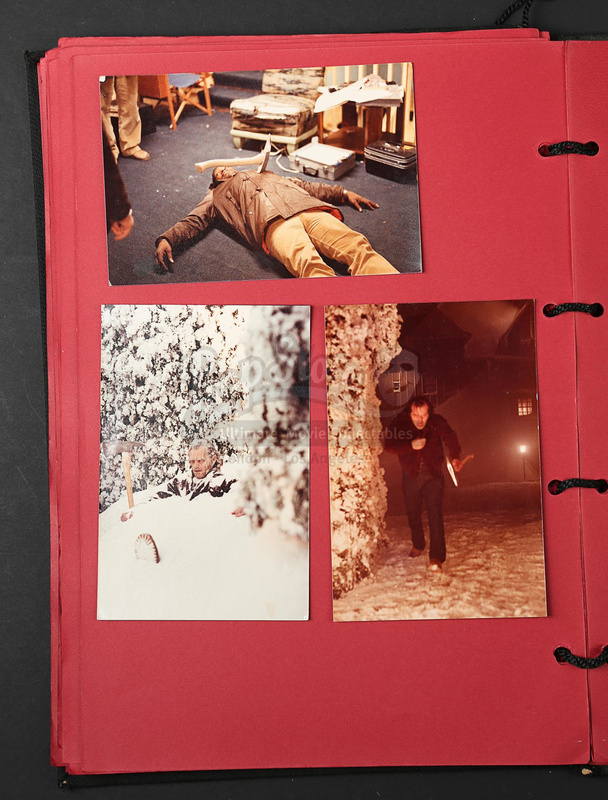 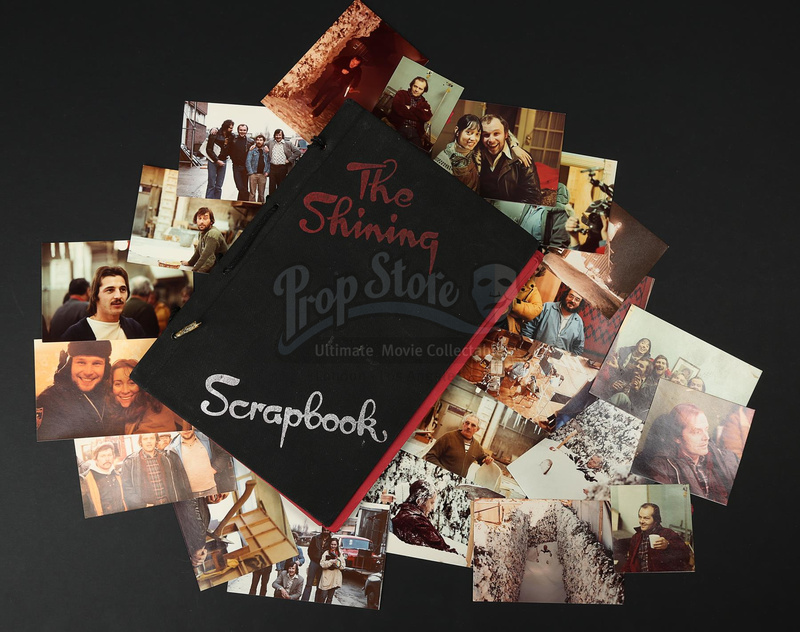 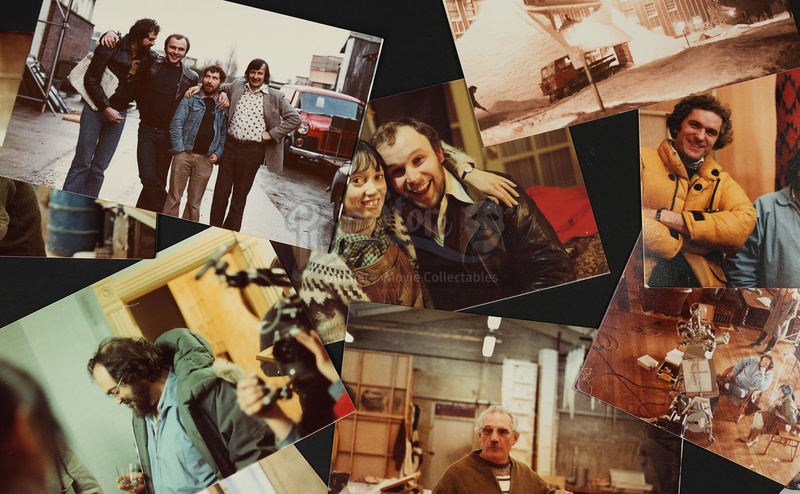 A behind-the-scenes photograph scrapbook from Stanley Kubrick's horror film The Shining, sold with full copyright. 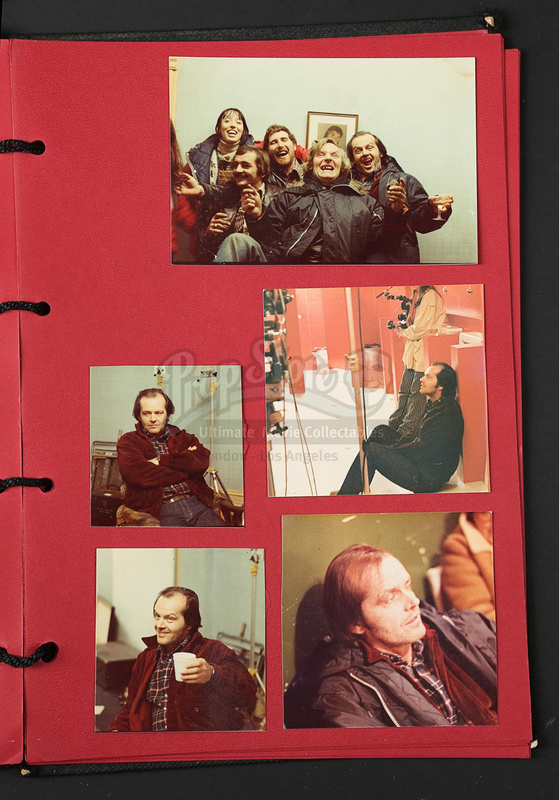 The photographs were originally taken by a crew member while working on the film, with permission from Kubrick. 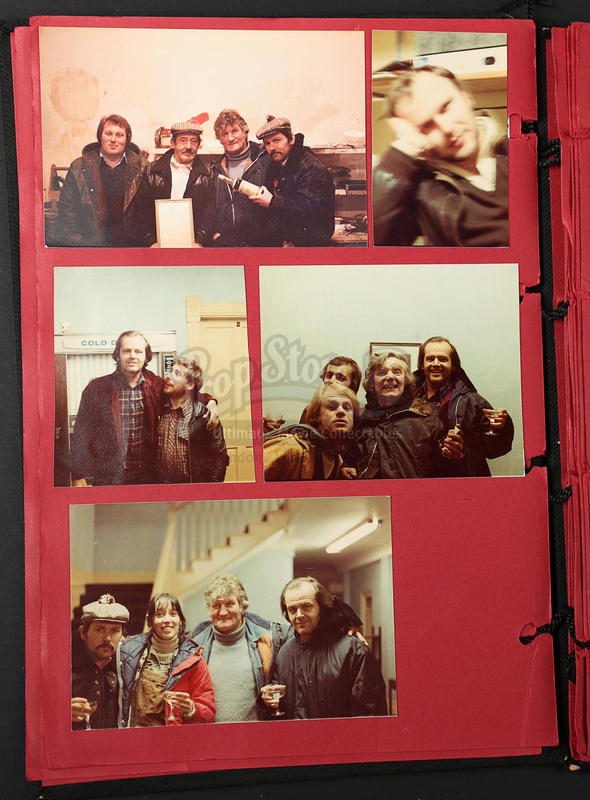 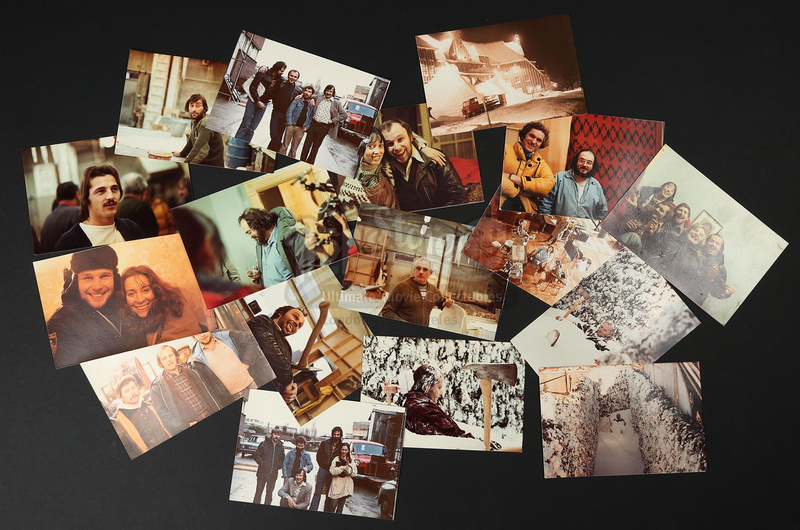 They feature Jack Nicholson, Shelley Duvall, Scatman Crothers and Stanley Kubrick, alongside crew members on the set of the film at Elstree Studios. 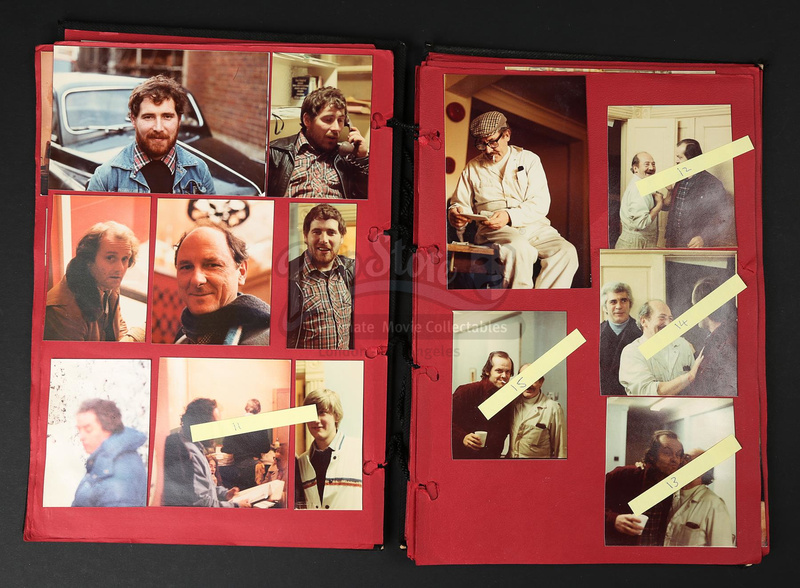 The 42-page scrapbook contains 79 photographs in total, with 65 of these secured to the red scrapbook pages with adhesive, and 24 loose photographs. Featuring cloth-bound front and back covers, the book is held together with short lengths of thin black rope, with 'The Shining Scrapbook' hand detailed on the front in red and silver. 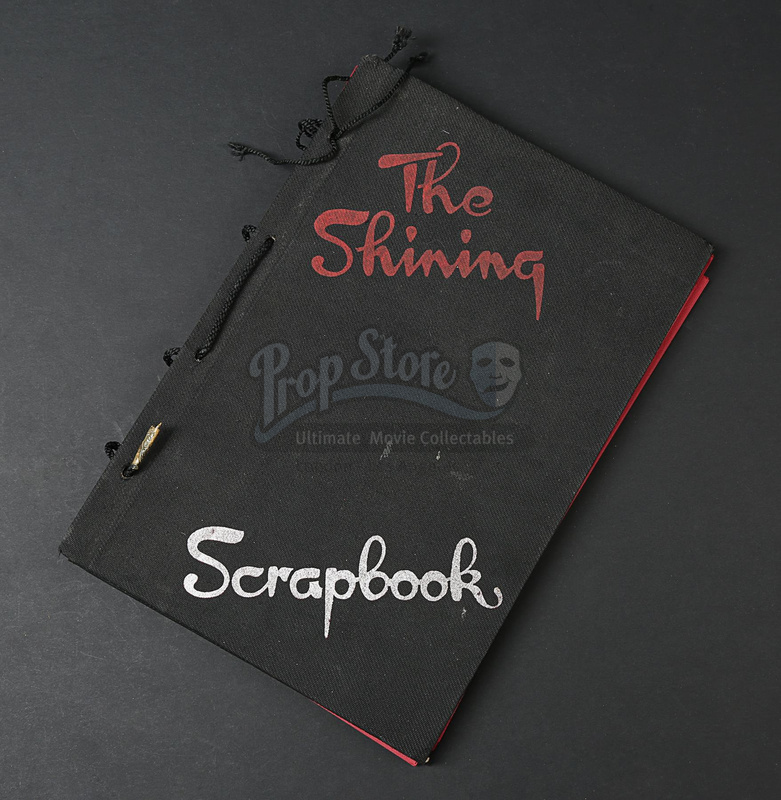 A letter from the crew member detailing the original sale of copyright of the scrapbook accompanies the lot. 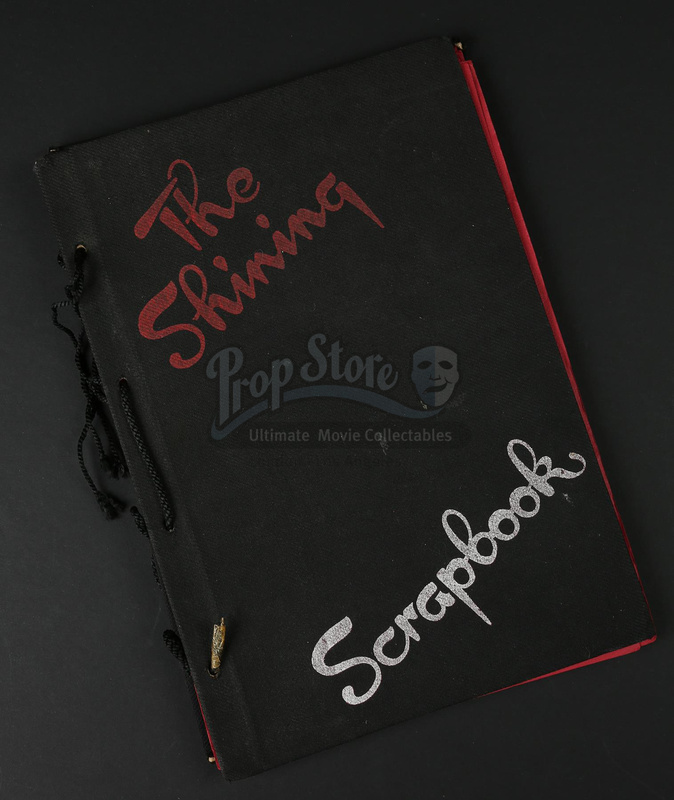 The scrapbook displays signs of wear, including nine pages that have become loose, and fraying to the rope binding. 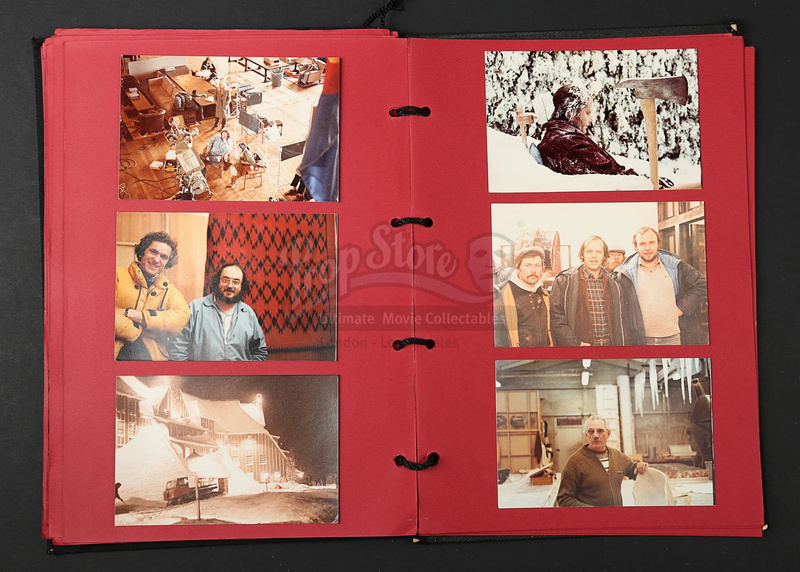 Dimensions: 31.5 cm x 22 cm x 2 cm (12 1/2'' x 8 3/4'' x 3/4''). 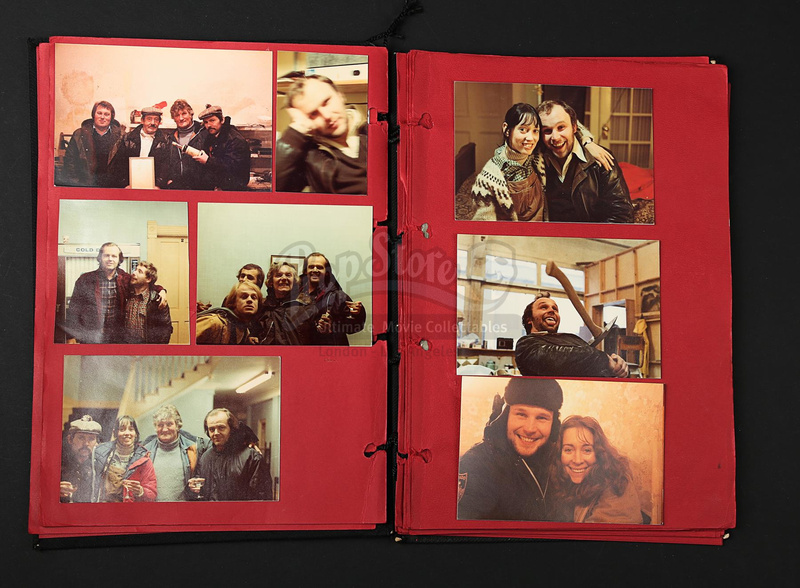 Please note that the photographs within this lot are sold with copyright. 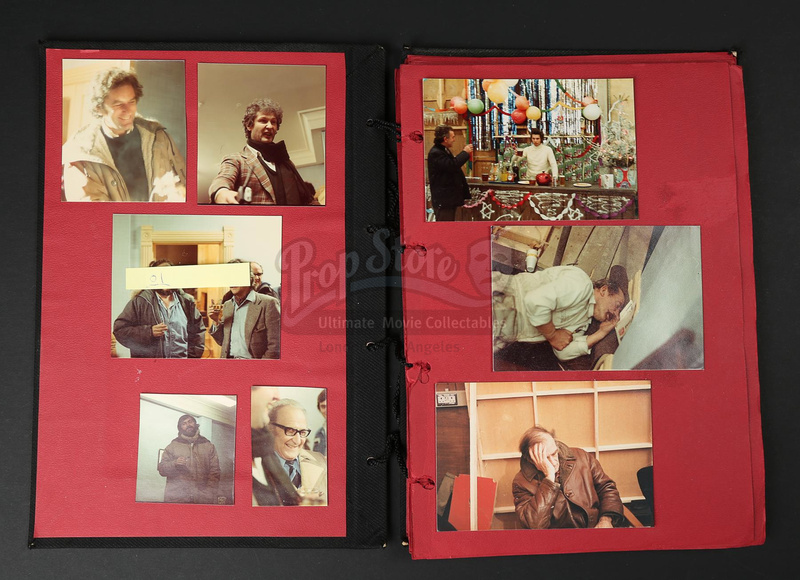 The buyer is solely responsible for ascertaining that each photograph is otherwise cleared for publication.